Since my roundup post uncovered that SEO experts choose SEMrush as their number one SEO tool for competitor analysis, I had to provide an in-depth review and tutorial for you. In this review and tutorial of SEMrush, I am going to show you the functionality I used to grow my freelance SEO business to £7,000 (£12,000 in March 2017) a month. I am by no means a heavyweight earner when it comes to my SEO business. But I do know a lot of people who want to reach this level. I also know there are so many business owners who want to do their own SEO and get results that will transform their income. I am honing in on the areas of this immense tool that you can learn quickly and cut out any guess-work with your SEO activity. I only include the functions that I personally use to deliver results. I dropped all but one other SEO tool when I discovered SEMrush – a testament to the true value SEMrush has brought to my business. Everyone is scared of getting an SEO tool incase they realise they need 10 different tools to do everything they need. That would be crazy expensive, right? This is why SEMrush has become so popular. It gives you all the data you need to run intelligent SEO campaigns. As mentioned, I only use one other tool (Ahrefs) and keep my costs lower this way. I will be showing you exactly how to use all the areas of SEMrush that I use and I have made videos to walk you through the processes. I think you will agree with me when I say: Getting page one rankings and driving good quality traffic is hard! Doing trial and error SEO is not smart. That’s like investing all your money in companies you know nothing about and losing most of your money, making a bit of money back and not knowing the reasons why. It doesn’t have to be like this. You can use SEMrush to uncover how your competitors are achieving their results. This lets you cherry-pick their winning techniques and bypass the trial and error approach that so many businesses and SEOs are doing. You can do all the keyword research you will ever need to do. Look at it like this: you can replicate all their wins, save yourself time and wasted money. Lack of competitor analysis – not understanding why competitors are crushing it. SEMrush has this base covered. Bad keyword research – not targeting the best keywords that are being searched for in Google and not organising keyword use on separate pages. SEMrush shows you how many people search which keywords and how to target those keywords on your site. Poor execution of strategy – sometimes SEOs and business owners just don’t put in the legwork to achieve the rankings over a period of time. Before we get stuck into the tutorial… I have organised this review and tutorial into step by step sections. Each section has a video tutorial, so you can see exactly how to use the functions I use and a see how easy it is to get around SEMrush. In return for you taking the time out of your day to read this review and tutorial, I have arranged a 30 day free trial of SEMrush for you. Just click the image below and get your free trial of SEMrush. You can cancel any time in the first month and not have to pay a penny, but I know you are going to love it and make it pay for itself quickly. ‘Position Tracking’ is the functionality I use more than anything else in SEMrush. As an SEO we are often called by clients for a quick update on how the rankings are coming along. Using SEMrush position tracking allows us to access our client’s rankings with just one click and feedback the highlights, or export a PDF of the rankings and send to their email. You can compare rankings from present day to any date from which you set up your position tracking. This allows you to gauge how well your SEO is going and pin-point dates of significant improvement, so you can understand if a particular thing you did resulted in positive changes. In the image below I am comparing some of my rankings across a 90 day period of time – these improvements would indicate my SEO is improving. Many clients are actually manually looking up keywords in Google and not seeing accurate data. This poses a problem, as they often search the wrong keywords (which we are not targeting) or simply see themselves ranking much higher than they actually are due to Google prioritising their site based on their search history. In short, they are being misinformed. But we can take that stress away from them and provide ranking reports with a click of a button. All good SEO deals come to an end. Having historical keyword data that they can provide their next SEO is going be really useful to them. Their next SEO can use this information to see your list of keywords you were aiming to rank for, how the rankings changed over time and then tie this up with organic traffic data in Google Analytics. In the video below I show you how to set up your keyword tracking in SEMrush – this is the best keyword tracking approach I have found so far. I show you how to set up more than one campaign in cases where you may want to see your rankings for your city, as well as a national keyword tracking campaign. 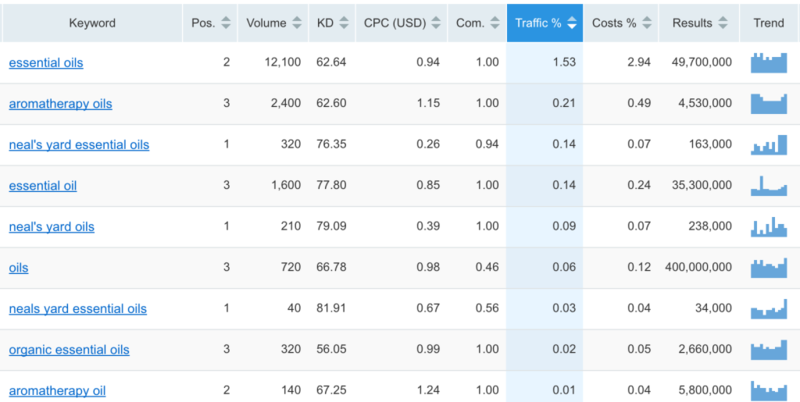 Check the SEMrush dashboard for daily updates to see your keyword rankings. Monitor the rankings and pin-point ranking changes inline with your SEO activity. If you see something working for you, hone in on it! Give your clients updates on their rankings so they stop manually searching their keywords in Google. Before you start your SEO campaign, it is essential to understand what keywords you already rank for. Why? Well, what if you are ranking really well for particular keywords and didn’t even know it. You change title tags, h1s and general use of keywords on the given page and suddenly lose some valuable organic traffic. The worst part is, you won’t even know why you are getting less sales and leads. This part of SEMrush could save you from pulling the plug on your sales and leads overnight. By using SEMrush ‘Organic research’ you can get a good benchmark for your current performance in Google. You can easily order the keywords you rank for from highest ranking positions to lowest ranking positions. This will show you how you are bringing in organic traffic to specific pages. With this information you can find the low-hanging fruit and improve your SEO to elevate these keywords and quickly improve leads and sales. Getting a bunch of keywords from position 5 to position 2 can have an instantly satisfying result for the client. Then you can move onto seeing if the big primary keywords are lurking on page 2 or if they are right in the depths of page 5 onwards. When I get a lead I use the organic research function to be able to gauge the potential timeframe for page one rankings to occur. It can also uncover if the site may have been penalised – if the client is saying “we used to have ten times the volume of sales than we do now”, you need to find out why! Using Organic Research in SEMrush, I can then see if all keywords are sitting in position 60-100 or if they have just slipped onto page 2 for some important terms. Of course, to 100% diagnose a penalisation you would need to have Google Analytics access and have the Moz Algorithm Change History page at hand. The Organic Research part of the tool can also help in understanding how much to quote a potential client. When you pop the lead’s site in SEMrush and see some high-volume/high competition keywords and good rankings, then this client needs an SEO commitment to match. Let me explain. Many potential clients want to know prices (or your packages) quite quickly so they can qualify you as a potential SEO provider. If you under-quote a large business with high expectations because you have recently had a flurry of low-value leads, then you risk coming off as a ‘cheap SEO’. Why quote a company who needs a serious level of commitment a package that would be appropriate for your local removal company? Enter your website without the http and www into the bar at the top of SEMrush and select ‘Organic research’ from the list to the left of the search bar. Select the country you are targeting with your website. Observe your rankings and take note of all best keywords that relate to your products or services. If you are ranking in the top 20 results and the search volume is ok or good, then add the terms to your position tracking. Take note of which keyword relates to which page on your site, so you can investigate if the page is best targeting the keyword. This also will help you know what not to change in terms of keyword use. You can find the page that ranks for the keyword by looking at the ‘URL’ column. Click the up arrow in the ‘Pos’ column to order keywords ranking by highest to lowest. Now you will find your top rankings. If you notice some top 3 results and the search volume is substantial, then these keywords are priority when it comes to not undoing your SEO. Go to your Google Analytics – Acquisition – Source Medium – Google Organic – Secondary Dimension (landing page) and see if the top performing pages tie up with these page one keywords. Arguably this is the experts’ most precious part of SEMrush. By doing what you did in the previous stage, you can uncover the keywords that are driving your competitors that all important organic traffic. Start by taking the competitor’s homepage and simply popping it into the search bar at the top of SEMrush. Strip away the http and www. and click search. Now you are going to see the ‘Domain Overview’ – scroll down to the ‘Top organic keywords’ section and click ‘view full report’. 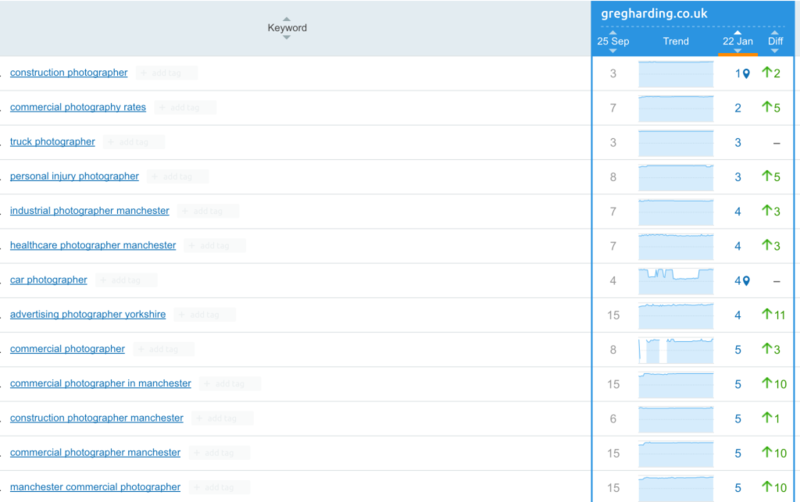 Now you will see a list of keywords your competitor ranks for, what position they rank for each keyword, how many people search the keyword per month and which page is ranking for the keyword. You can then delve into particular pages that are ranking well for your competitor and analyse their use of onsite SEO on those pages. By taking a specific url on your competitor’s site and entering it into the search bar, you can see all of the rankings that page has. This is incredibly useful when it comes to seeing if their approach to on-page SEO has resulted in lots of good rankings or just that one you found in the overall organic research phase. It is always best if you find the competitor’s page has secured multiple good keyword rankings in good positions. This means they are maximising the amount of traffic this page could get and we can learn from them. Simply copy and paste some of the best keywords they are ranking well for with this page and place them in a spreadsheet, with your url for your version of this page above. Now you are forming a list of keywords that a competitor has proven it is possible to rank for with one page. Place the search volume of each keyword next to the keywords. You can use this to see how you will prioritise the use of the keywords in the main elements of the page. Often I start with the competitor’s homepage rankings. Homepage’s often have the most links pointing to them and therefor can fight harder for the most competitive keywords. You can compare competitors primary keyword positions they have achieved with their homepage, compared to yours or your client’s homepage. To do this just find the homepage url in the list of urls showing in urls column (in organic research – view full report) and click it – you will find rankings just for the homepage now. This can uncover cases where they have clearly targeted search terms with less search volume per month, but have achieved great rankings. In knowing this you can make a decision on if you want to try and rank for the most competitive terms in the industry or hone in on more easily achievable targets. In this phase of your competitor analysis you should be aiming to clearly know what the main pages on your site should be targeting. This means your homepage, main categories and product pages. I can’t tell you how many sites I see where every page has heavy use of the same keyword throughout all the title tags and text. This results in not ranking at all for the term they wanted to rank for. You can swerve this mistake by observing successful competitor’s approach to targeting different keywords with separate pages. Notice the use of product categories for example, to achieve high search volume keywords and then product pages for more specific lower search volume terms. Observe how they achieved homepage rankings for more heavyweight terms that encompass the whole business. Input your competitor’s domain into SEMrush and uncover their rankings. Study their use of onsite SEO on any pages they are ranking well with. Observe their ‘keyword mapping’ – how they achieve masses of rankings by targeting different keywords with different pages. When it comes to consulting to your client on their approach to content production, SEMrush is a lifesaver. So many companies (even those huge ones) have not considered the bigger picture of the role the blog plays in their business. They know they want it to appear active in the industry and to ‘drive traffic’ but when it comes to specifics, most are not sure. Content is being written by a quality copywriter but not backed up with data. More often than not, the copywriter has not established a comparable piece of content a competitor has produced. By analysing the competitors …/blog/ in SEMrush Organic Research, you can find all the rankings any piece of blog content has achieved. You can also see how well they have ranked for terms that have a decent search volume. Why is this important? This is possibly going to save the client a shed load of money. If they are ranking really well for great, relevant search terms then it is time to look at the real quality of the post. In analysing the quality of the content you can figure out ways to produce something simply better or put a different angle to the same topic. Check out Sarah’s post on SumoMe on reverse-engineering epic content. Doing this across multiple posts and then multiple competitors can result in one epic content strategy, backed up with data. Just make sure to notice the level of social engagement the posts have received too so you can steal the qualities that made it so sharable. As an SEO we don’t always have to construct the content though. We are often adding a stack of value by highlighting to the client and copywriter the pieces of content that competitors are ranking really well for. Then we provide the keywords they should use and later can further optimise the piece. You can use the SEMrush website audit tool to identify underlying SEO issues, figure out how to solve the issues and improve your rankings in the process. I use this part of SEMrush on daily basis to find problems with my clients’ sites and resolve them. This means I am always watching over their site and creating solutions for issues which would not be found by the naked eye. This is far better than letting issues build up over a one year period and doing an audit that will unveil potentially huge volumes of problems. Why? If you deal with issues in a responsive manner then you can have a progressive performance and not let the site slowly sink in the Google rankings throughout the year. SEMrush allows you to set up your site audit to re-crawl to a schedule that suits you. I choose weekly re-auditing so that on a Monday I have all the new data to work with. Duplicate content – it is really hard to identify duplicate content by manually working your way through your website. Duplicate content is when you use the text from one page and publish it on another one of your pages. In Google’s eyes this is taking shortcuts and results in both pages have a hindered performance in Google. This tool will show all your occurrences of duplicate so you can figure out your plan of action to cut down the number of pages that have duplicate content. I have found duplicate content to be particularly high on ecommerce websites. This is commonly due to products being included in multiple categories. By using the SEMrush audit tool you will be able to pin point all of these problems, see patterns in how your duplicate content is forming. Once you find this information, you can consider using methods such as canonicalisation, noindex follow tags or rewriting content for certain pages. Duplicate Title Tags – another hard issue to find by manually searching your site. Duplicate title tags are essentially confusing Google as to how to rank you in the search results for the keywords used in the title tag. Google sees multiple urls on your site all appearing to want to rank for the same keywords and as a result, they will commonly push you lower down the rankings. 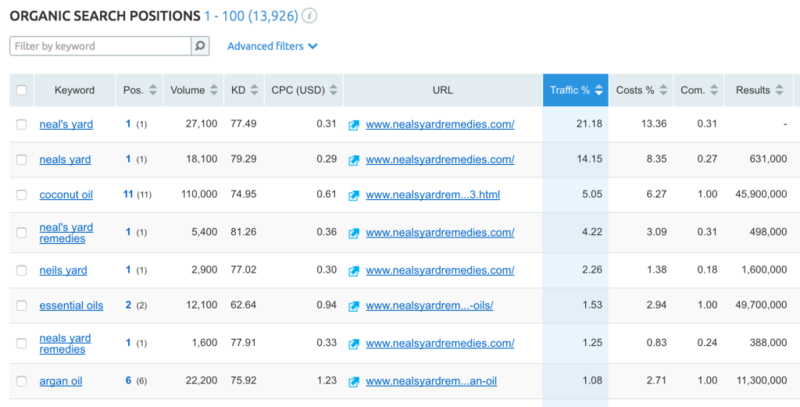 By using the SEMrush audit tool you can find the offending urls and once again create your plan of attack to resolve this. I have found a very high relationship between duplicate content issues and duplicate title tags. What does this mean? It means that most of your duplicate title tags are fixed by you resolve your duplicate title tags. As with duplicate content, duplicate title tags are usually commonly found in ecommerce sites for the same reason. I also find when clients who are not competent in SEO try and do their own SEO, they often replicate the same title tags masses of pages on their site. As an SEO you can give all pages unique keyword targeting. Finding dead pages (404 issues) – finding deleted pages or pages that have moved url is incredibly useful and SEMrush will find all these for you. When you find 404 pages (dead pages) you can then take these urls and use ahrefs to analyse if there are links pointing to them. If there are good inbound links pointing to these pages then you can secure your client links by simply redirecting this url to wherever it got moved to. If the url was deleted and a new version of the page was not created then you need to ask the client why this happened. Tip – in some cases urls are deleted without being redirected for a reason. This is because bad link building to this page may have taken place. By 301 redirecting this 404 page to another page you will transfer those bad link back into the site and potentially harm the SEO performance. Temporary redirects (302 and 307) – pages that have a temporary redirect can confuse Google when it comes to rankings the destination url. So if a page redirects to its new home, which is the url you are aiming to rank and you used a 302 redirect to do this, then Google may have doubts about ranking this new urls. Consult with the developer on why this is the case. Most times they have no reason for why they did this and simply making these 302 redirects into 301 redirects (permanent redirects). More than one H1 heading – If your pages have multiple H1 tags it can confuse Google regarding what you want the page to rank for. Identify the pages with multiple h1s, open the page up and view the source of the page. Command + F the page and search <h1. You will then see the h1 tags being used. Tip – often in WordPress I find the theme uses navigation text as h1 tags. In this case you can consult with the developer on giving the navigation lesser power by giving them H4 tags, for example via the theme editor in WordPress. In other cases there genuinely are multiple on-page h1 tags and you can simple demote the 2nd and 3rd H1 tags to be H2 and H3 tags. Low text to html ratio pages – SEMrush will alert you to pages that have a higher amount of code on the page than text. This can usually be resolved by having additional text on the page (if you believe this page could rank for something). If the page is not designed to rank for a term, then you can consider applying a noindex follow tag to the page. Having a high volume of pages with this issue can result in being caught by a Google Panda update. Duplicate H1 and Title Tags – SEMrush will show you all the pages where your title tag and H1 are the same. This can be viewed as not giving your page the best chance of ranking for multiple keywords. In some cases I want the h1 and title tag to really hone in on the same keywords, so I can add some branding to the title tag by including | Company Name at the end of the title tag. Tip – I find this to occur mostly in WordPress blog posts. Pages that don’t have enough text in the title tag – SEMrush will show you cases where you have really short title tags. This is useful because it can highlight under-optimisation. Your title tags are your biggest signal to Google on the exact terms you want to rank for. So why not find these, do some keyword research and bulk out the title tag. Pages that don’t have a H1 tag – In the SEMrush site audit you will see pages that don’t have a H1 tag. You can then figure out what H1 you can apply to the page, inline with your keyword research for the given page. H1s are a powerful signal to Google on what you want the page to rank for, so make the most of them! Sitemap.xml not indicated in robots.txt – if you don’t have your sitemap xml file included in your robots.txt then it will show up in the SEMrush site audit. You can place your sitemap url in the robots.txt like this sitemap: domainxyz. co . sitemap.xml to resolve this problem. This means Google has even greater chances of finding your sitemap and ranking your pages better. Tip – whilst on this topic, make sure the sitemap is correctly submitted via the Google Search Console. Pages without alt tags – if SEMrush is telling you that you have pages with images that don’t have alt tags then you have yet another piece of good SEO work on your hands. Alt tags help Google make sense of what an image is. If you label the image properly and consider your keyword research for the page then you can broaden the set of terms the page may rank for. Tip – It can also help you rank in Google image search. Some industries experience visitors using Google image search more than the normal Google results. I experienced this in the flooring industry and saw the true power of Google image search. Pages with slow load speed – If you are experiencing poor rankings despite all your efforts then this could be your ticket to ramping up the results. Slow loading pages kill your SEO and result in people clicking back and looking at one of your competitor’s pages. Identify if the images on the given page could be optimised. Is the hosting really up to scratch? Check this tool to see how your low speed is in comparison to other sites. Consult with the developer on improving this because it will pay off! Pages without meta descriptions – there really is no excuse for not creating a meta description for a page. This is the text that may influence a visitor on clicking your result in Google versus your competitor’s result. Tip – if you are in WordPress, get Yoast and just scroll down below the page editor for the page in question and fill in the form. Try and use a call to action at the end of the description to entice a click. Pages with too much text in the title tag – if your title tags are too long then make them look more clickable by using the Yoast plugin and seeing where the cut-off point is. Tip – it can be effective to put most important keywords near the start of the title tag. Remember that including brand name at the end of the title tag can help with keeping your brand in peoples minds and build trust. Too many on-page links – Google does not seem to like pages that just include a list of links with very little text content. SEMrush can show you where this is happening so you can take action. Maybe it is a resource page or a link pages that can be reviewed to cut down the volume of links. Tip – I have found many cases where all the pages on a site have this issue. This is caused when the navigation of the site is showing every category, sub-category and then even all the products in the categories. This can result in no pages performing very well in Google. Sitemap not found – if SEMrush can’t find your sitemap xml file then Google probably can’t either. Check to see if you have one by adding sitemap.xml at the end of homepage or looking in your Google search console – Crawl – Sitemaps. This is essential in getting your pages crawled by Google and having new pages automatically added to your sitemap and indexed by Google. Pages that blocked the SEMrush crawler – this is all the pages SEMrush could not crawl because directions you have specified in your robots.txt or by applying noindex tags. If SEMrush can’t crawl them then Google won’t be crawling them either, meaning they won’t be getting ranked. Figure out if these pages really should be kept out of Google. Tip – I often see urls for session IDs here or urls for filtered navigation. This is normally a purposely made decision to cut down duplicate content. If you see pages that are not suppose to be in there, find out if it was due to the robots.txt or a noindex tag. Once found, address the issue without getting purposely de-indexed pages reindexed. Robots.txt not found – most sites need a robots.txt file to keep certain pages out of Google. Consult with your developer on creating one and following this useful guide on what to include in your robots.txt file. Set up your site audit in SEMrush using the steps in the video above. If you don’t know the size of your site then go to Google and search site:www. your site . co . uk and it should state the amount of urls on your domain. Use the information above on what issues mean and create a document outlining each issue and your plan of attack to resolve them. Monitor the issues and watch them drop as you tackle them. Keep an eye on your keyword rankings as you resolve the issues. If you start improving in the weeks following your onsite work, then you are providing value to your client. Although SEMrush is not viewed as the best SEO tool for backlink analysis, it does still have a lot of data to offer. As mentioned at the start of this post, I ditched all but one other SEO tool when I found SEMrush. This left me with just SEMrush and Ahrefs. I use Ahrefs for backlink analysis to help shape my link building strategies, but SEMrush is used for every other activity. I do however use SEMrush backlink data from time to time and know that many SEOs are purely just using SEMrush for all their SEO analysis. Before I found SEMrush I was massively over-delivering on the time spent on my SEO campaigns. I was manually trying to do a lot of the tasks that SEMrush was able to do with a few clicks. To make it worse, all the time I was wasting was eating into the time where I could be doing the implementation that would actually impact the rankings for my clients. This just meant that results were taking longer. For every one day billed, I was spending 1.5 days and then client phone calls and emails on top. That means I was doing 1.75 days and billing 1 day because that was the agreement with the client. Why did it take me a year of struggling before I dished out and starting using SEMrush? I was so busy doing the SEO work that I was not looking for solutions. In the run-up to a BrightonSEO (one of the UK’s best SEO events held twice a year) a member from SEMrush offered to get me a ticket to the event when she saw I had missed the boat on getting in. I went and said hello to the SEMrush team at the event ad took them up on a promotion they were doing at the time. I came back from the event pumped up from all the SEO talks and eager to try SEMrush. My first port of call was to the position tracking function in SEMrush because I knew that would save lots of time on the phone trying to manually verify rankings. Next, I put all my client base through the audit tool so I would always have an on-going to do list of issues to sort out. How much time would this save me! Far less time spent reading blog posts to try and find if my client’s site is falling short on anything. Then I figured out how to spy on my clients’ competitor’s. This was the game-changer. 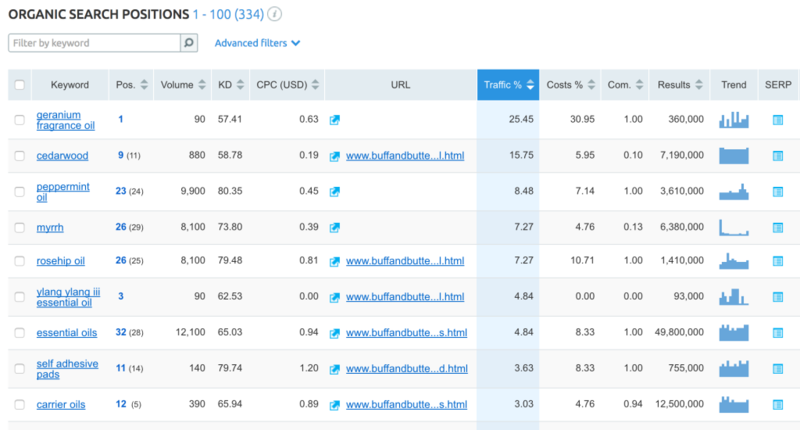 SEMrush was giving me so much keyword data that I could barely believe it. I felt like I had an unfair advantage as an SEO. My keyword research skills became a product in itself. I was suddenly able to create standard procedures that 90% of my clients would need. I started to see each activity that SEMrush allowed me to do and create a journey that a client will go on with me. No more days spent trying to think back about what my deliverables really look like, only to send to potential clients who were not converting. I began to realise that the activity that SEMrush allowed me to do also allowed me to frame an outcome. Clients want outcomes. This meant I can state an activity and then the outcome. “keyword research – we will know exactly what keywords people are actually searching in Google. We will know how many people search each keyword per month and which page we will use to rank for it. This will ensure we don’t chase keywords that aren’t even popular or unrealistic keywords”. Next came understanding that clients often like SEO packages. I was able to look at every bit of value I can add to someone business and assign them as deliverables (with outcomes). My SEO results were not bad at all in year one of Convert Digital before I invested in SEMrush. The problem was that I was genuinely burning out and earning half of what my time was priced at. Fast-forward to year 2, 3 and now year 4 and results like this are happening in 120 days of SEO (on the cheapest SEO package I offer). I really hope you enjoyed this tutorial of SEMrush and that it has convinced you to take the 30 day free trial.